We hope you'll want to "have your cake and eat it too", when Cakes by Debi makes it. 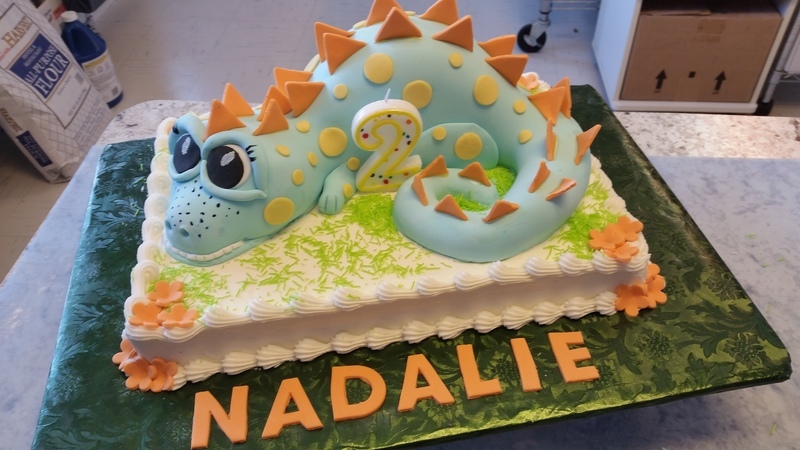 We pride ourselves on being one of the longest established cake bakers and decorators in the Flathead Valley bringing years of experience and creativity to your special events. Our brochure boasts over fourteen cake flavors, with over twenty fillings to choose from and the option to custom make any combination that sounds tasty to you. And the "frosting on the cake"?...Choose from Italian buttercream, cream cheese, chocolate ganache, whipped cream, or rolled fondant. If that isn't enough to get your mouth watering, we make a variety of decadent cheesecakes, pies, special truffles, mints, candies, tarts, dipped fruits, cookies, bars, scones, muffins, and more. There's not much that's sweet and delicious that we won't tackle! Cakes by Debi was officially established in 1997, but I've been baking cakes for special occasions many years before that. My Mom was baking specialty cakes in Fontana, CA where I grew up and she encouraged me to take cake decorating classes with her. It wasn't long before I discovered that I'd found a fun outlet for a creative itch. In 1981, my husband Randy and I, along with our 3 year old son, moved here to Kalispell in the beautiful Flathead Valley. With the birth of our daughter, Anna, I realized I needed to be home more than my outside job allowed. So we converted our garage into a lovely kitchen that complied with the Health Department standards and began our "cottage industry" in earnest. 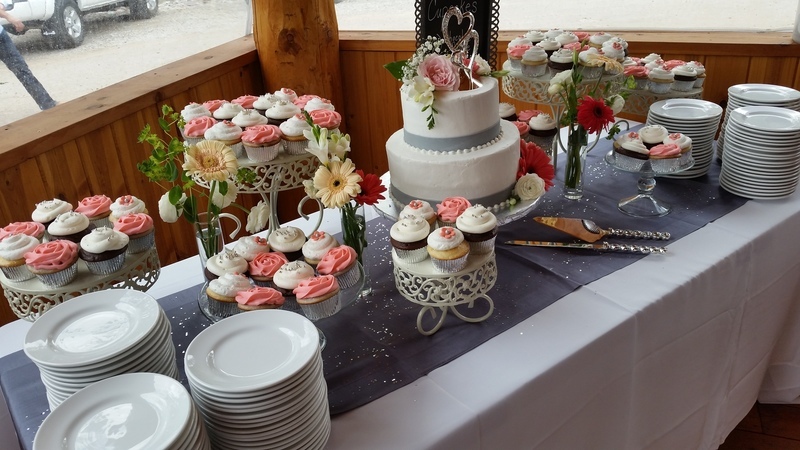 As a member of the Northwest Wedding and Event Professionals Association, weddings are still our mainstay, and we work hard to make the decisions about the cake fun for the bride. Sometimes that can be a real challenge. Like the groom who wanted to combine an outdoorsy look with a castle in the clouds! All the details, down to the chocolate rocks, grass, ducks and clouds took some doing, but the finished product turned out to be a really breathtaking (and edible) work of art. With well over one thousand cakes carefully produced in our little kitchen, we have seen changes in cake styles, with the current trend away from pillared cakes to stacked cakes that incorporate fresh flowers in the decorations. Covering cakes in rolled fondant has also become much more common. Still, some things seem to stay the same. With so many cake flavors to choose from, white and chocolate are still the traditional favorites. 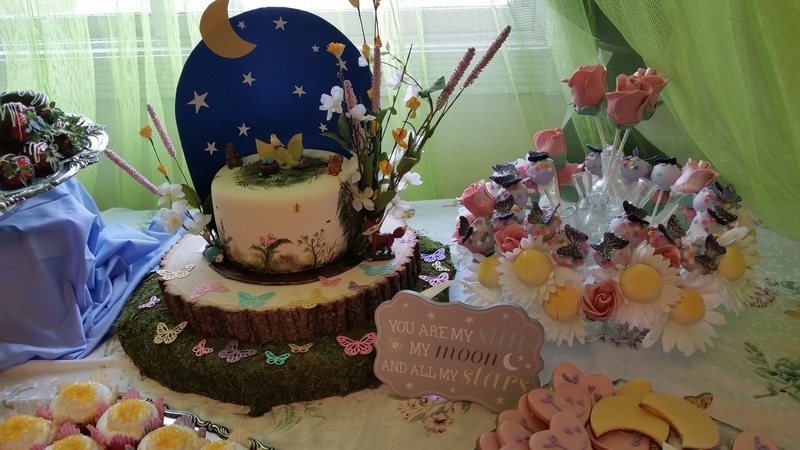 As we mentioned earlier, while wedding cakes are still a main focus, we design cakes and goodies for many special occasions at a reasonable cost, and with careful attention to detail and to the customer's tastes and desires.